can keep some people 'going' all day! 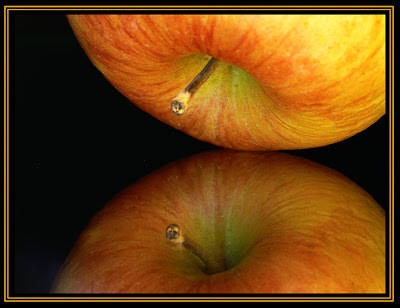 Yes, while yesterday's blog post extolled the virtues of apples, as we all know, not one "size" fits all and we are all individual. 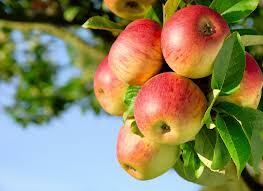 And so it is with apples. 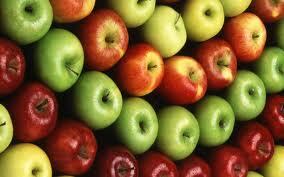 If you have fructose malabsorption, sadly, it is best that you avoid apples. Fructose malabsorption is a condition where an individual cannot properly digest the sugar fructose in their small intestine. Undigested fructose then gets carried into the large intestine - the colon, where our normal bacteria break it down and use it as their food source. In the process of them digesting the fructose, the bacteria produce different gases which can cause the intestine to swell. At this stage, a person with fructose malabsorption may well experience bloating, cramping, gas and distension, and then this can be followed by diarrhea. These symptoms are similar to those experienced by people with celiac disease, and also those who are lactose intolerant and thus it is frequently difficult figure out what is going on and what is causing the problem. Fructose intolerance is also often seen in those WITH celiac disease and lactose intolerance too. It is also seen in those with irritable bowel syndrome. So while apples are generally seen to help with diarrhea, if you have fructose malabsorption, then they can actually cause diarrhea. It is important to work with your doctor or health care practitioner if you are having chronic diarrhea and other digestive issues, as the symptoms share a lot of cross over with other issues. There is a test for fructose malabsorption - a hydrogen breath test - but it is a relatively new test and not offered by all docs. Remember - we are all different and have different needs.